Dec 28, 2016: Can someone help me with a DAC/Amp? Dec 28, 2016: How I get louder PS4 headset volume? Dec 29, 2016: Hum coming through Fiio k5 amp no matter the input or output. Dec 29, 2016: My PC lacks optical/coax out ports; what are my DAC options under $40? Feb 15, 2017: PS4 Slim - Audio through HDMI extractor? Feb 15, 2017: Struggling to find the right solution. Mar 17, 2017: How Do I Remotely Control My Volume for Computer Speakers? Oct 06, 2017: Odd issue with Yamaha stereo receiver and a Klipsch powered subwoofer. 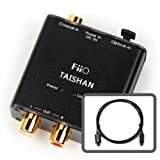 RCA connections create a barely audible sound but a Bluetooth connection (TV -&gt; Receiver) is just fine. Feb 25, 2018: Which amp should I get for my setup? Jul 22, 2018: What is the point of using a cheap DAC vs an expensive one? Dec 07, 2018: having noise problems when I move my mouse. Feb 15, 2019: Best cheap DAC for Edifier R1700BT?